A smart pair of bracelets for the modern stylish man, by Emporio Armani. 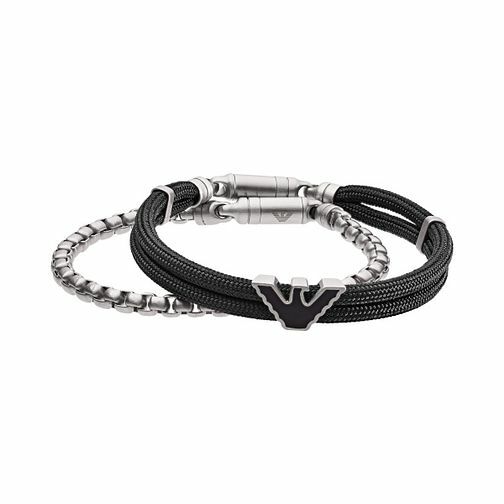 Two nylon rows are brought together with a silver Armani eagle cut-out charm upon one, whilst the other boasts a sleek link stainless steel bracelet to co-ordinate. A classic set to make a great gift for a gentleman in your life, or as a treat to yourself!